Lottie Moon was born in Virginia on December 12, 1840. She was named Charlotte Digges Moon, but everyone called her "Lottie." She grew to be a cultured and educated woman. In 1873, she obeyed God's call to go to China to share the gospel. Lottie spent most of her years in Tengchow and P'ingtu, China. She wore Chinese clothes and lived like the Chinese people. The Chinese people respected Lottie. Her missions work won many Chinese to Christ. Lottie loved the Chinese people. She often made personal sacrifices to help the Chinese. When there was not enough food for the people, Lottie gave away her food. She ate so little that she suffered from malnutrition. She was very sick. A missionary nurse was bringing her home to the US to see a doctor. But Lottie died on board a ship in the harbor at Kobe, Japan. She died on December 24, 1912. She was 72 years old. While she lived in China, Lottie wrote letters to the Foreign Mission Board. She wrote to Baptist women. In her letters, she asked for more missionaries. She asked for more money to continue and grow missions work among the Chinese. Because she was so determined, Woman's Missionary Union collected the Christmas Offering to give to the Foreign Mission Board. At Annie Armstrong's suggestion, the offering was named for Lottie Moon in 1919. Today it is called the Lottie Moon Christmas Offering for International Missions. 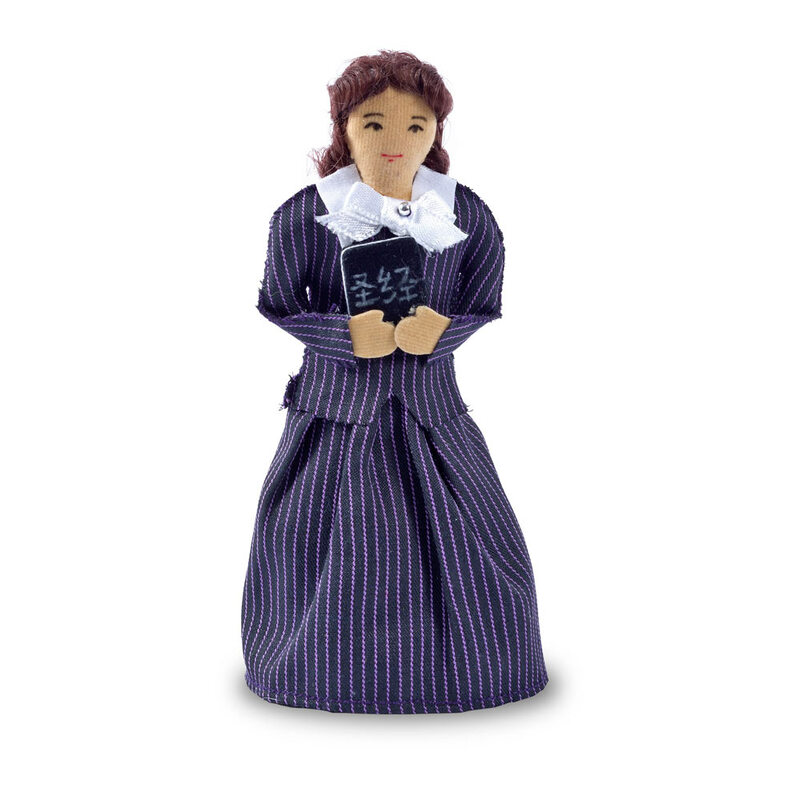 Resources about Lottie Moon are available for purchase on our store at wmustore.com. Discover how the missions work of Lottie Moon inspired Southern Baptist Women, through WMU, to begin one of the most influential giving and prayer networks known to the modern missions movement. 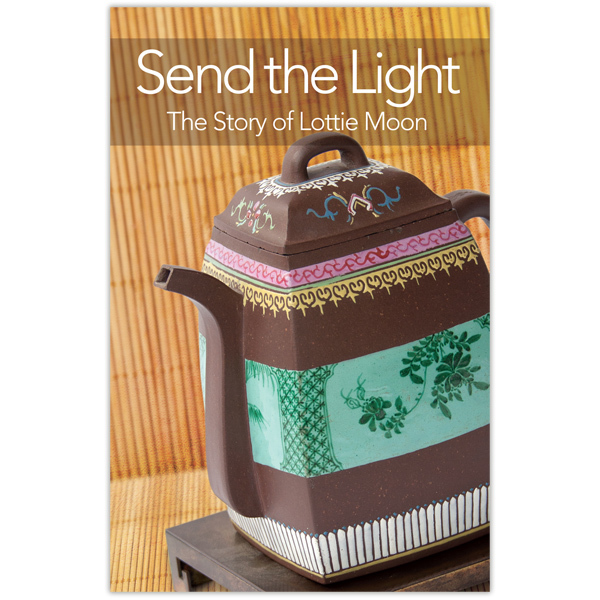 This leaflet is affordably priced so the entire congregation can learn more about how the Lottie Moon Christmas Offering started. For Southern Baptists, the name of Lottie Moon is always connected with the annual Christmas offering. 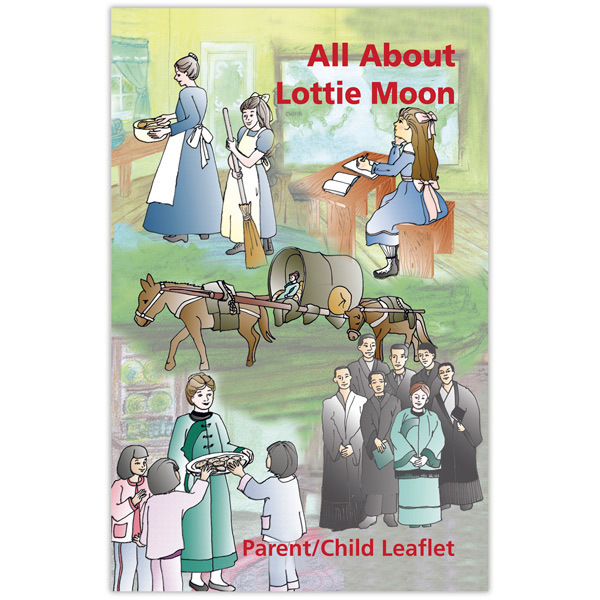 Do your preschoolers know about Lottie’s amazing life and missionary work in service to God? This leaflet tells her story and explains the Christmas offering. Fun, hands-on missions activities for preschoolers are included to enhance your preschoolers’ learning experience. Also available in Spanish. Do your children understand why they give to the Lottie Moon Christmas Offering? Download a copy of e4 Children: Lottie Moon Christmas Offering in Spanish to show them how the offering impacts international missionaries and also how their own giving makes a difference. Encourage preschoolers to support missions by giving to missions offerings. Banks can be used each week for regular missions giving, or for special missions offerings such as the Annie Armstrong Easter Offering, Lottie Moon Christmas Offering, or your state missions offering. Make giving to missions a part of your church’s celebration of the WMU 125th Anniversary. Ten banks included in each set. 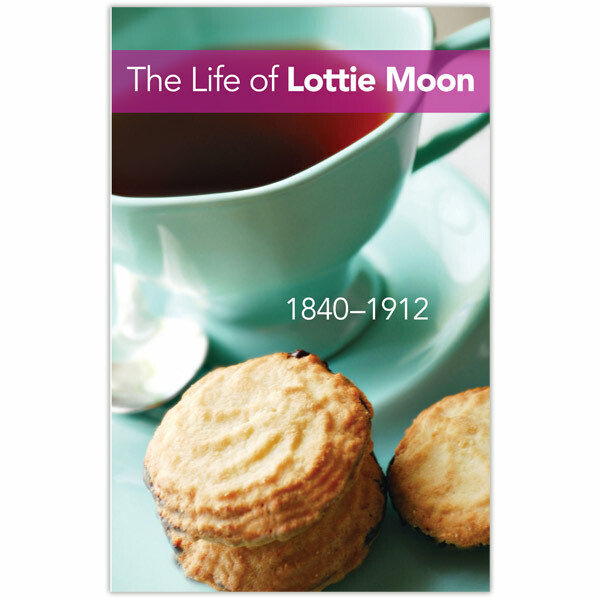 Lottie Moon often made tea cakes (cookies) for the children in her village. The children ate the cookies. Then, they would take Lottie to meet their mothers. Lottie shared the gospel with the mothers and the children. Flavor to taste. Roll thin. Cream the butter and sugar. Add the egg and mix well. Add the flour and cream. Dust a board with flour. Roll the dough very thin. Cut cookies with a round cookie cutter. Place on a buttered or nonstick cookie sheet. Bake at 475 degrees for about 5 minutes.